The very first AMD Ryzen Mini-ITX motherboards are finally here and they bring an impressive set of features at genuinely attractive pricing. Ever since the Ryzen 7 family of CPUs was released many enthusiasts have been eagerly awaiting mini-ITX motherboards to build powerful compact machines. Today not only do DIY PC builders have a compelling set of AM4 motherboards to choose from but also a compelling lineup of affordable Ryzen 5 high performance processors to pair with them. If you’re one of those folks that have been waiting for that AM4 mini-ITX board to start your build we’ve got good news for you. 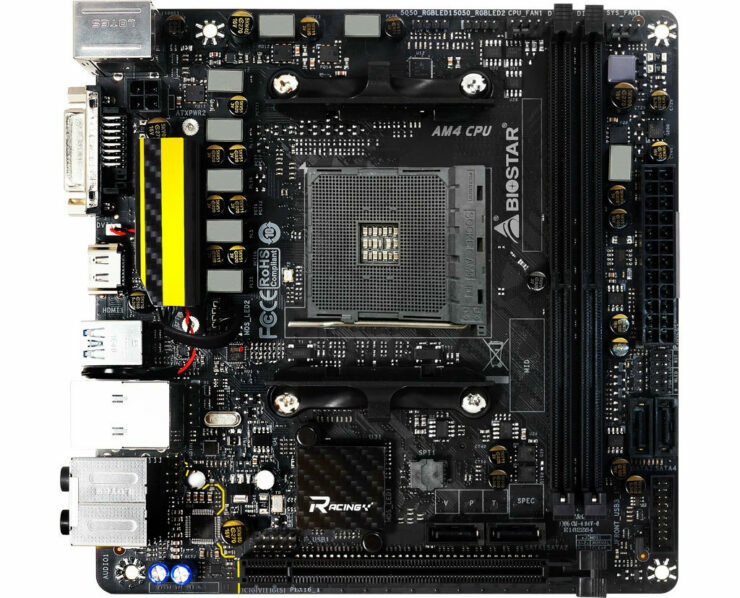 The first mini-ITX AM4 motherboards for Ryzen are here and they’re capable, packed full of features and affordable. 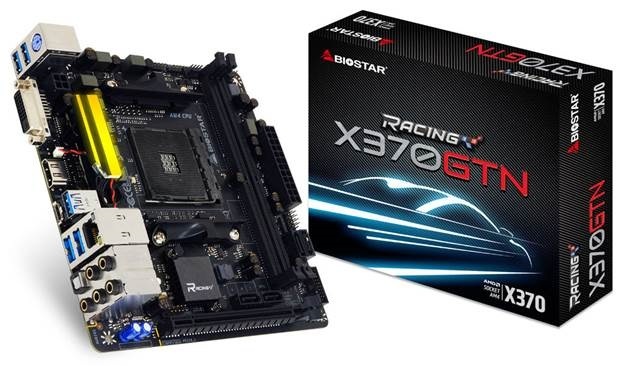 Yesterday BIOSTAR announced the official introduction of two new AM4 motherboards, the RACING X370GTN and RACING B350GTN with the only difference between the two being the chipset. Interestingly neither of the motherboards feature AMD’s X300 chipset which was specifically designed for mini-ITX from factor motherboards. Alternatively, BIOSTAR has equipped one of its boards with the top of the line enthusiast X370 chipset and the other with the mid-range B350 chipset. Both chipsets support overclocking. In terms of graphics and storage expansion both motherboards feature one PCIe 3.0 x16 slot, 4 SATA 6Gbps connectors and 1 M.2 slot. On the networking side we’re looking at a standard Realtek gigabit ethernet LAN controller, no Wi-Fi. The integrated audio solution is based on a physically separated circuit featuring the Realtek ALC892 8-channel high definition codec. All in all these are very well rounded motherboards with a robust set of features with affordable price tags to boot. The X370GTN and B350GTN will debut at $129 and $109 respectively. Paired with a Ryzen CPU either of BIOSTAR’s new boards can make for an affordable and powerful small form factor workstation. With 8 cores, 16 threads and a frugal 65W power envelope the efficient Ryzen 7 1700 CPU is uniquely suited for a tiny rendering machine that packs a serious punch. Paired with a six core Ryzen 5 1600 CPU these boards can be used to create really mean LAN machines as well. Both motherboard in the series will feature high-reliability Realtek Dragon LAN ethernet solution with built-in BIOSTAR LAN surge protection for maximum LAN protection. 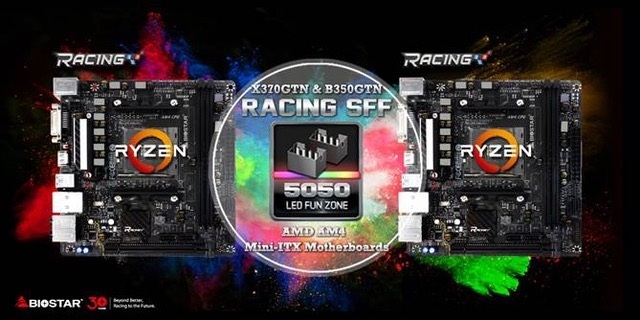 The AM4 family of 2nd-Gen RACING series motherboards from BIOSTAR all features all the new motherboards feature VIVID LED DJ support and 5050 LED Fun Zone with two 5050 headers for full lighting customization freedom. VIVID LED DJ – Design your own LED effect with BIOSTAR VIVID LED DJ. Control your motherboard LED light via VIVID LED DJ utility including special effects like music-reactive LED animation. 5050 LED Fun Zone – The brand-new 5050 LED Fun Zone comes with two 5050 LED headers to bring more colorful lighting options to DIY lovers. This improves upon the original feature allowing for a much more flexible way of adding lights to your system. AMD AM4 RACING motherboards come with the new networking solution for gaming: the DRAGON LAN together with FLY.NETbandwidth management software which automatically detects the best settings for your bandwidth, maximizing priority to those that need it the most meaning games will receive a smoother experience with improved lower latencies and an ultra-stable network connection when running multitple software that utilize the network. The new BIOSTAR RACING X370GTN and RACING B350GTN feature USB3.1 Type-C port which offer double the data-rate than USB3.1. This allows faster transfers and larger bandwidth for your devices. The Type C connector also allows ease-of-use and universal compatibility with Type-C-compatible devices which uses a reversible connector design for utmost convenience. USB3.1 Type-C also supports 3A with standard cables allowing increased charging times up to 50% versus Type-A cables. Indulge in the most realistic armored warfare experience with BIOSTAR and World of Tanks as they bring gamers closer to the actual battlefield with superb performance. Enjoy the BIOSTAR advantage in World of Tanks when you buy a BIOSTAR RACING motherboard, VGA or peripheral where you will receive an exclusive invite codes for premium gift packs for World of Tanks Asia server players. Charge into battle with the BIOSTAR advantage. 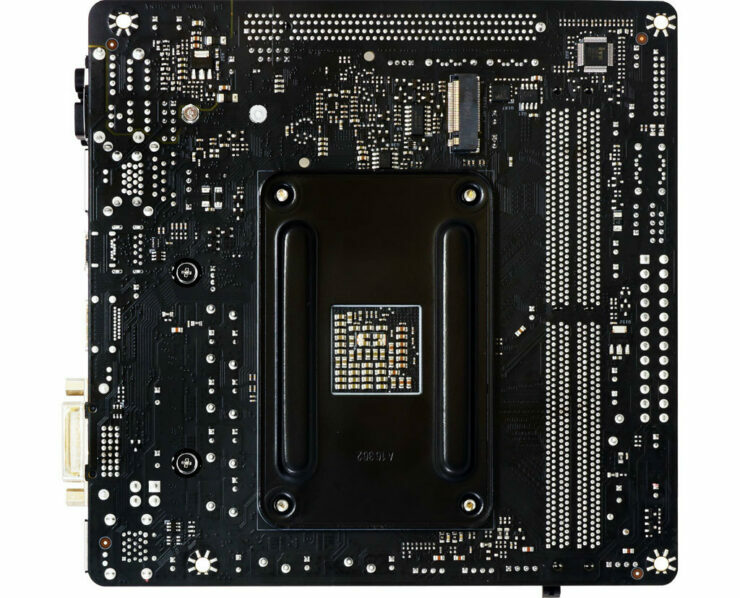 Both motherboards feature plenty of fast connectivity with four USB3.0 ports, two USB3.1 Gen2 ports with a traditional Type-A and the new reversible Type-C ports available. Legacy PS2 support for older devices and multimedia output including HDMI and DVI as well as SPDIF and 5 audio output ports for multi-channel setups.